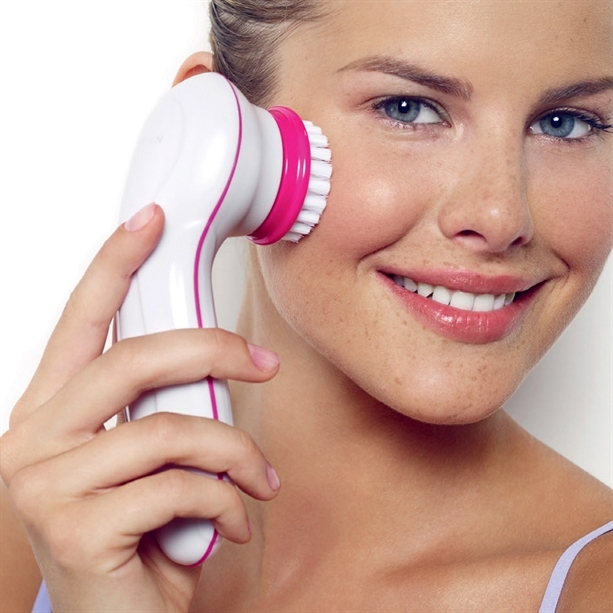 It is simple, but very useful tool for maintaining your beauty "program". It's not professional, but as for beginners is well enough. 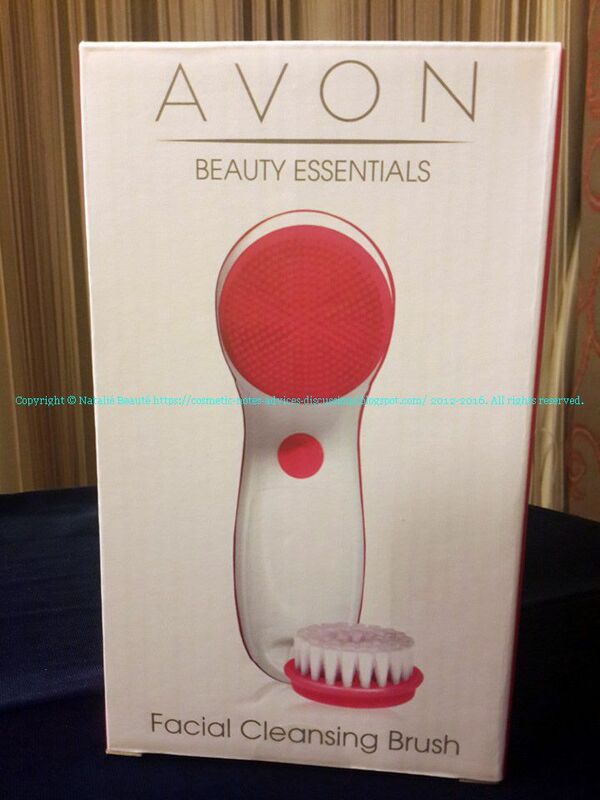 Base for the cleansing brush to stay on your cosmetics shelf. 2 types of Brushes with base each one. Batteries 2 x AA are NOT INCLUDED. Silicone Facial Brush - removes dirt and hard skin. 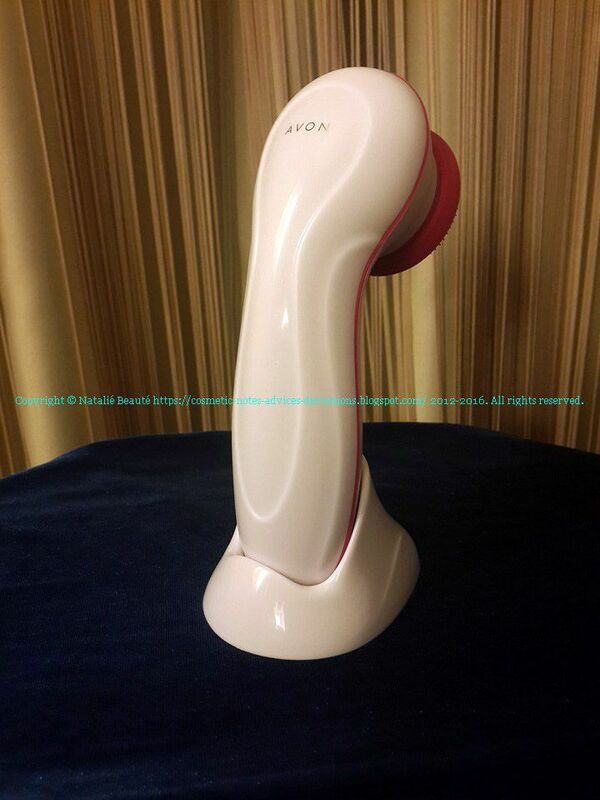 It is silicone cap, which can be removed from its base and washed. 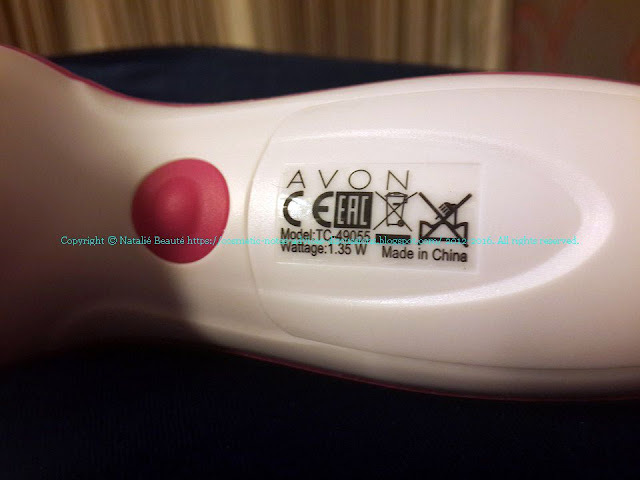 It's recommended to use first this brush. 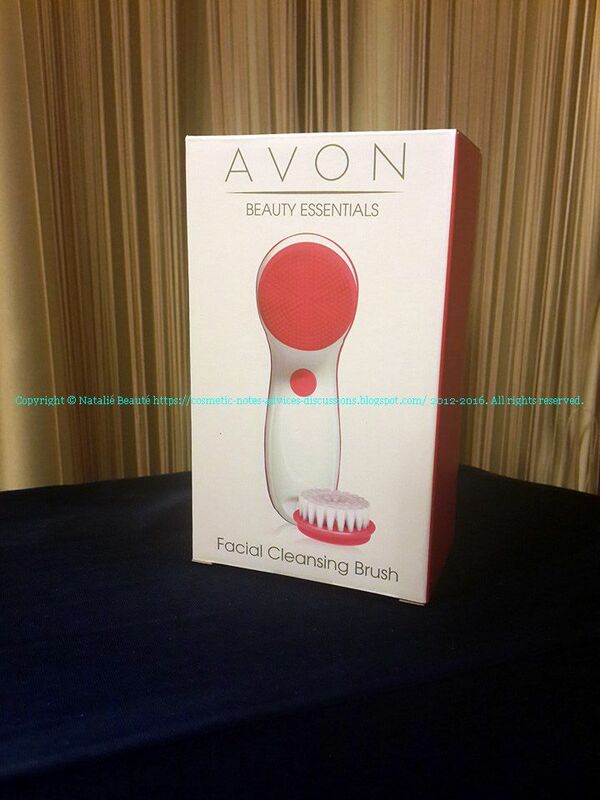 Bristles Facial Brush - nylon brush for deep cleaning. You will feel little warm sensation on the place. Go slowly on all over the face, except the very jentle area around the eyes. I recommend to start with the forehead. As a beginning is very good to use zooming mirror. 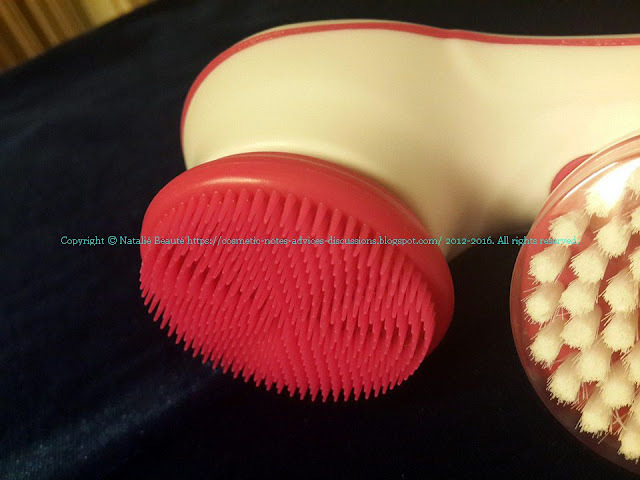 You can also use the brushes - especially the nylon brush, for dry brushing the skin. After usage, turn off the device. NOTICE: When you press to switch off, it will first go through 2-nd speed. You must press one time more and the device will stop! 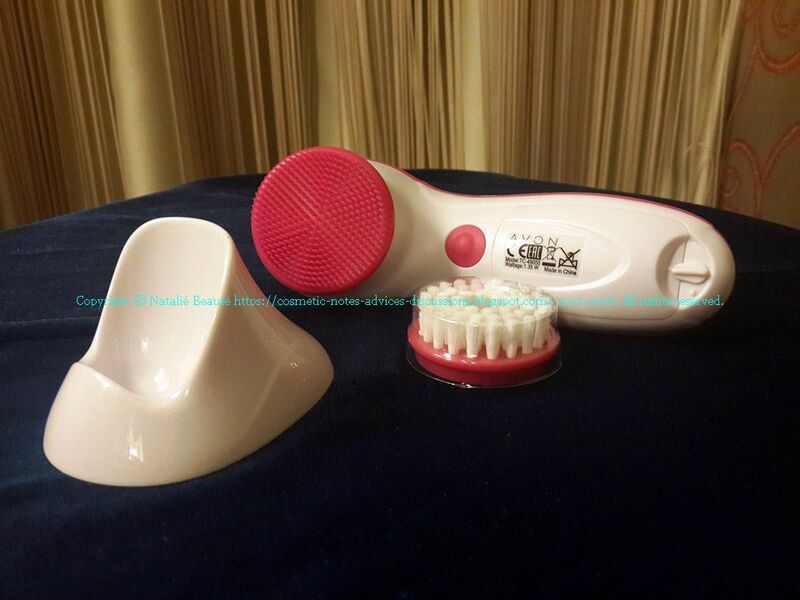 Detach the brush from the device and wash it. 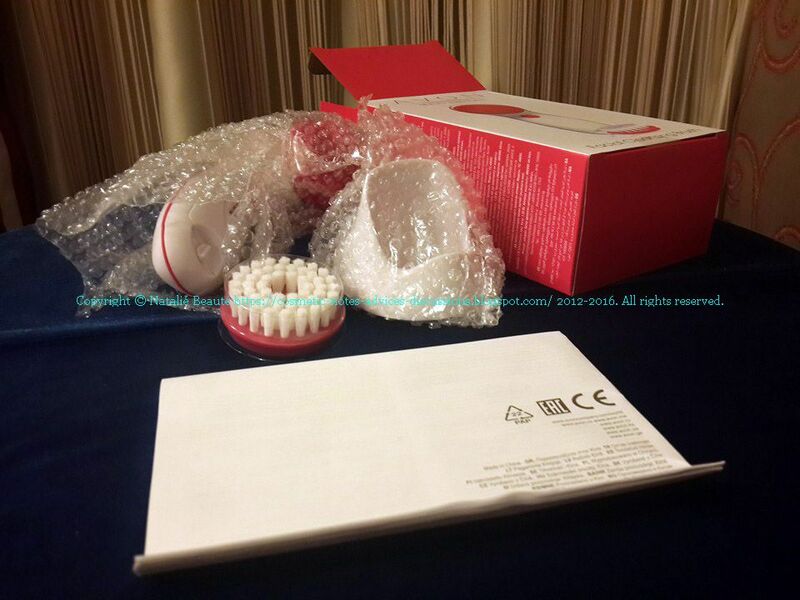 The product comes in paper box, sealed from up and down. The parts are wrapped with bubble nylon. 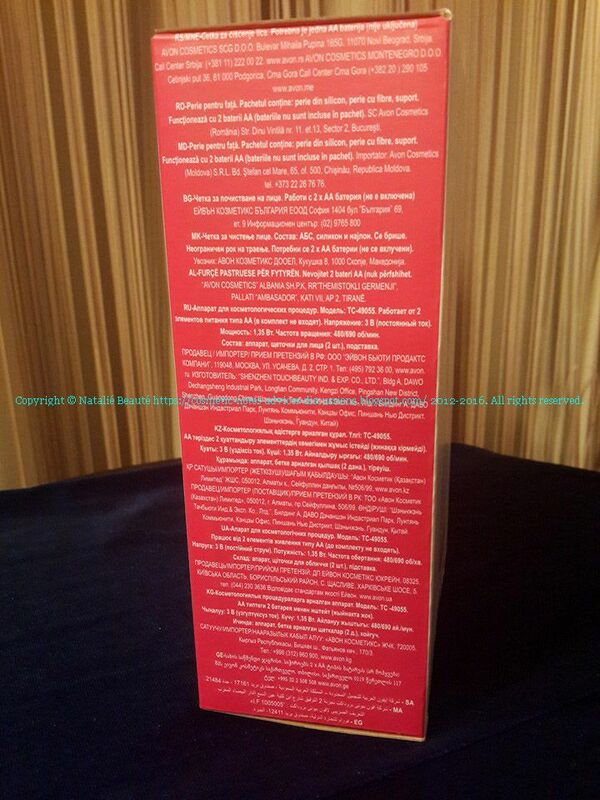 There is booklet with instructions in many languages. This device is very easy for work. All you need is just creating right habits - for usage and as well for your skin care routine in generally. It's not professional, like BRAUN's set for example, but it also can bring you professional results. 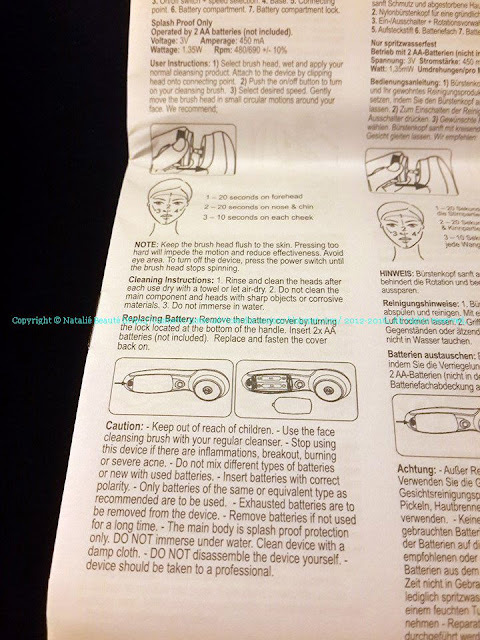 Use it carefully, following the instructions for safety. Be gentle to the areas, where you use it. Every time, after work, wash the head/s carefully and let them dry completely. Don't use on irritated, burned, injured skin. ADVICE: Use evening time, so in case of some irritation, it will disappear or calm down till the morning. 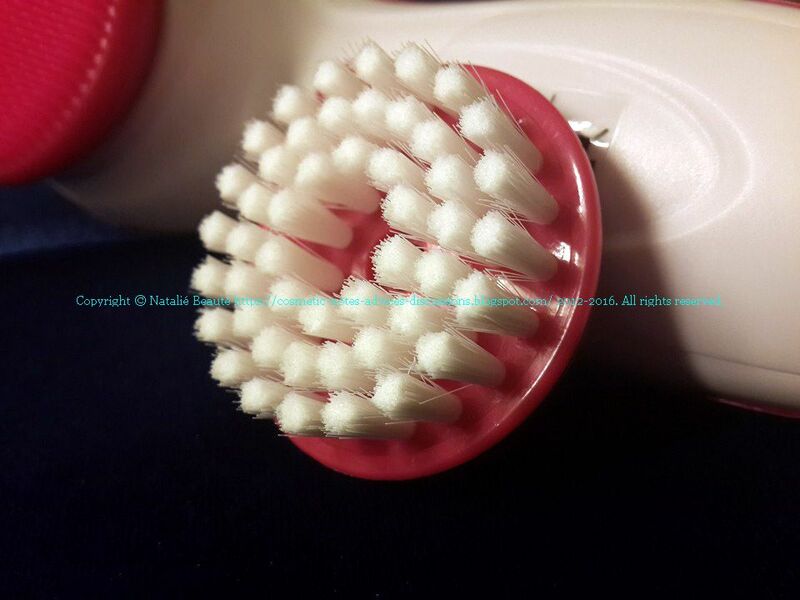 The dry brushing options (with the nylon brush) is very good and useful, and I recommend you to use it also. It can be applied also on your neck (but very gently), arms, elbows, knees. TIP & ADVICE: If one day you decide to buy professional kit, you can use this one for pedicure dry brush kit! After some time of testing this product, I notice, that it does what is claims to do. The results are very good. Of course, you need some time to get use to the device and soon you will start to see difference.